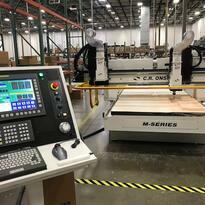 Insul-Fab has recently added a new dual-head, 3-Axis, Gantry Style Router to its CNC Machining production equipment arsenal. The speed, efficiency, and precision gained from automated manufacturing can now be matched by few in the industry. This is due to enhanced strength and dual-head capability, allowing Insul-Fab to produce dual cuts for each pass. Insul-Fab is a leading fabricator in its ability to CNC cut a wide variety of materials including plastics routing, composite machining, panel processing, aluminum and alloy milling, carbon fiber routing and graphite machining. Many of the parts are trimmed as panels or from vacuum molded or thermo-formed parts, which are used in HVAC, defense, aerospace, transportation and general industrial markets.